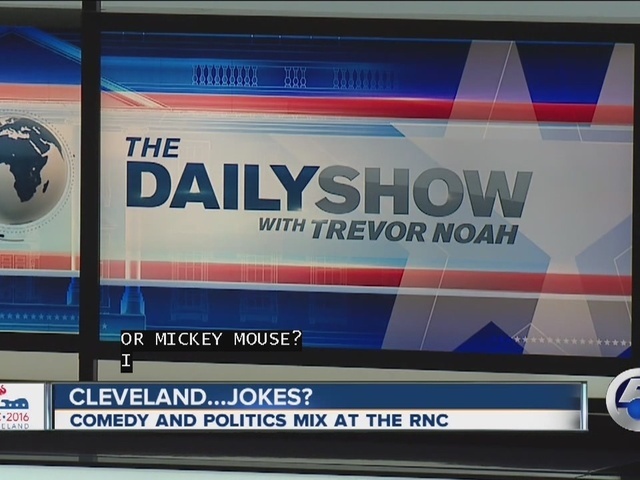 As Republicans make Donald Trump their party’s official nominee in Cleveland, anyone with a satirical take on American’s political landscape is flocking to northeast Ohio to tell the world. On East 4th Street Tuesday, conservative author Loren Spivack shouted “Gifts for Republicans,” as he pushed his line of politically-themed satirical children’s books. “My first book is a parody of Obama, done as ‘The cat in the Hat' with Reed and Pelosi as Thing One and Thing Two,” Spivack said. Tom Mitchell traveled all the way from Dallas to make his point, waiving a sign saying he’s voting for Mickey Mouse instead of Trump or Clinton. “We have to run the government,” Mitchell said." We have to pass reasonable legislation, negotiate, compromise." 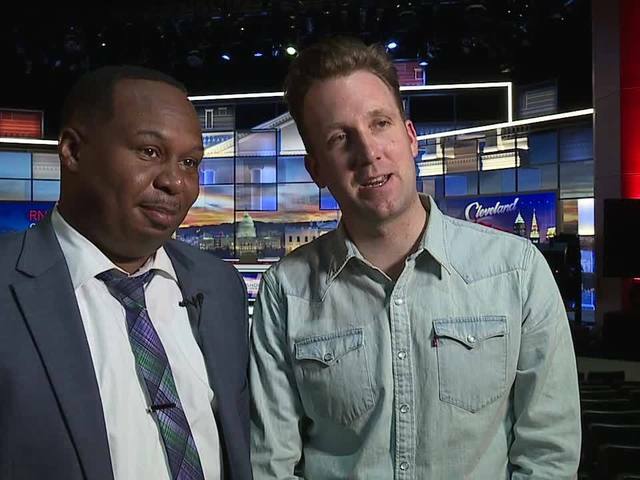 Correspondents Roy Wood, Jr. and Jordan Klepper said their brand of comedy has a purpose. "I think you make your comedy out of intention. Everything we talk about, we have to figure out why were making these jokes,” Klepper said. "The Daily Show" is currently recording shows every night this week at the St. Ignatius High School Breen Center.